Following successful trials during the Royal Navy’s Unmanned Warrior exercise in 2016, Thales has announced is now investing in two trials and training centres based in West Wales and in South-West England to test and develop autonomous systems for both military and civil activities. Thales says it will invest £7 million across the two regions, and sustain around 60 jobs in the local areas. There are currently 500 jobs both in Thales and its supply chain supporting current and future autonomous and unmanned systems technologies. The new £1 million facility in Plymouth will be Thales’s maritime autonomy trials and training centre. The five year commitment by Thales secures 20 jobs and the aspiration to continue to grow their footprint. This waterfront facility will provide access to trials areas for development of cutting edge maritime autonomous systems and position Thales at the centre of future maritime autonomy capability. The facility will act as the key maritime integration, test and evaluation centre for the combined United Kingdom and French Maritime Mine Counter Measures (MMCM) Programme. Victor Chavez, CEO of Thales in the UK said: Investing in these facilities enables the safe test, evaluation and training of autonomous platforms, innovative research and development, as well as the regulations for military and civil applications. These facilities will be central to the growth of Thales’s future autonomous capability. Central to the growth of Thales’s future, Thales has also signed a five year agreement with West Wales Airport (WWA) which will continue to deliver the Watchkeeper programme to the British Army and to expand the innovative test, development and training of Unmanned Aircraft Systems (UAS). Thales has committed £6 million to the West Wales facility over the next two years, securing 40 jobs both locally and across the UK. Over the past ten years, £10 million has already been invested into the airport and local economy while Thales and the Ministry of Defence have tested and developed Europe’s largest UAS programme, Watchkeeper. The commitment to these facilities builds on Thales’s leadership in autonomous systems and strengthens the position of UK industry in this emerging market. 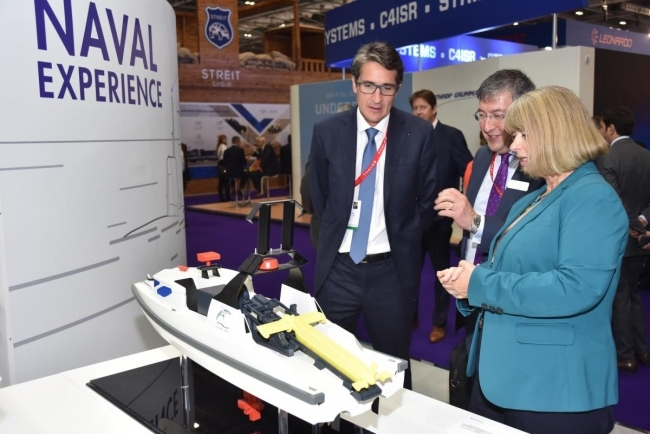 Harriett Baldwin, Minister for Defence Procurement added: Whether in the air or the sea, the UK is leading the way when it comes to autonomous systems. Thales’ announcement today is yet another example of that, and another way in which this innovation is supporting jobs right across the country.